Owning a Subaru means more than just owning a car. When you lease or purchase a Subaru from Mitchell, you're putting yourself behind the wheel of an exceptionally crafted machine that demonstrates safety, comfort and capability. Each new Subaru is thoroughly equipped with a long list of advances in technology and engineering, geared to making your driving experience unique to the go-anywhere, do-anything Subaru brand. 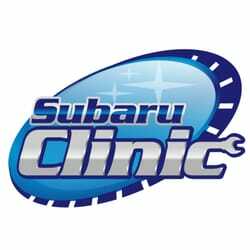 As part of our ongoing commitment to complete customer satisfaction, comfort, and knowledge of their vehicle, Mitchell Subaru invites each of our customers to join us for a free seasonal Car Care Clinic. These clinics are designed to assist our customers with understanding and using all the vehicle features and technology, as well as observing vehicle system demonstrations to assist in that understanding. Inside, outside and everything in between. Our next FREE Car Clinic will be held in the July 2018.